Nestled between the Summit Falls subdivision off of Longview Road and The Crossing subdivision off of Ward Road, you will find an equally impressive community with wonderful real estate options called Summit Crossings. Summit Crossings is a community of 131 single family homes in the 64081 zip code of the exceptional city of Lee’s Summit, Missouri. Lee’s Summit is a great place to buy a home and was ranked by Money Magazine as one of the “Top 100 Best Cities to Live in in the United States.” Lee’s Summit also made the list of the “Top 10 Happiest Places” in the state of Missouri. Because of all the impeccable amenities Lee’s Summit provides, in addition to its quick and convenient access to the rest of the Kansas City Metro area, Lee’s Summit continues to be a popular choice among prospective home buyers. Summit Crossings, in this splendid suburb of Kansas City, gives its residents a charming small town feeling while being just minutes from Kansas City’s best dining, shopping, entertainment and recreation. In fact, Summit Crossings is just twenty miles southeast of the renowned Country Club Plaza shopping district of Kansas City. Summit Crossings is a friendly neighborhood in close proximity to Summit Fair, Summit Woods and downtown Lee’s Summit. Summit Crossings is also a diverse community with residents of all ages. It is a great place to raise a family as the children are served by the award-winning Lee’s Summit School District. Children that reside in Summit Crossings attend Pleasant Lea Elementary, Pleasant Lea Middle and Lee’s Summit High schools. Summit Crossings has multiple community events each year including things like a Summer Pool Party, Women’s Cookie Exchange, Wine Tasting and Summer Adult Night. Homes for sale in Summit Crossings vary in price depending upon the property's age, style, size and special features. 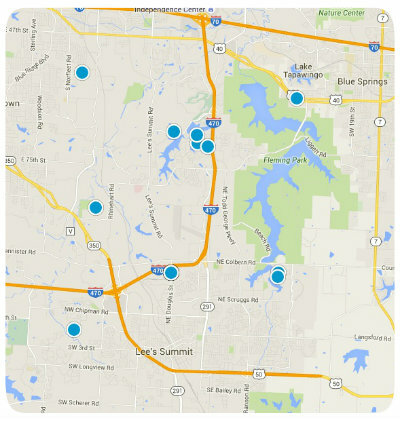 The median listing price for a home in Summit Crossings is $302,000, or $94 per square foot. If you would like more information regarding homes for sale in Summit Crossings of Lee’s Summit, Missouri, please contact us today so we can answer all of your questions as you search for the home of your dreams. Listing courtesy of Belinda Olson of RE/MAX Heritage.